Boys Town's annual Athletic Booster Banquet will be held on April 30th at the Embassy Suites-La Vista in Omaha. 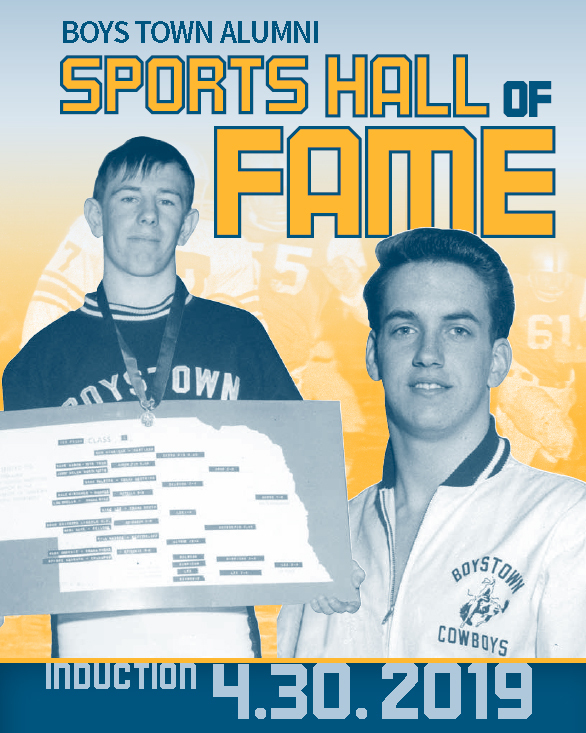 Boys Town student athletes will be honored and five alumni will be inducted into the Boys Town Alumni Sports Hall of Fame. 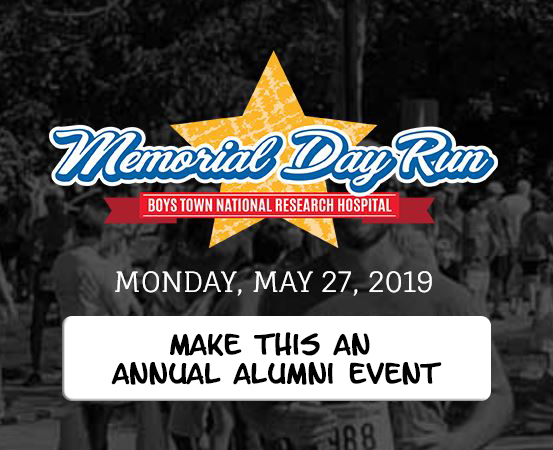 Join thousands of people running and walking for a great cause in the 2019 BTNRH Memorial Day Run on May 27th. Let's have a huge alumni contingent in the race. A great way to help kids! 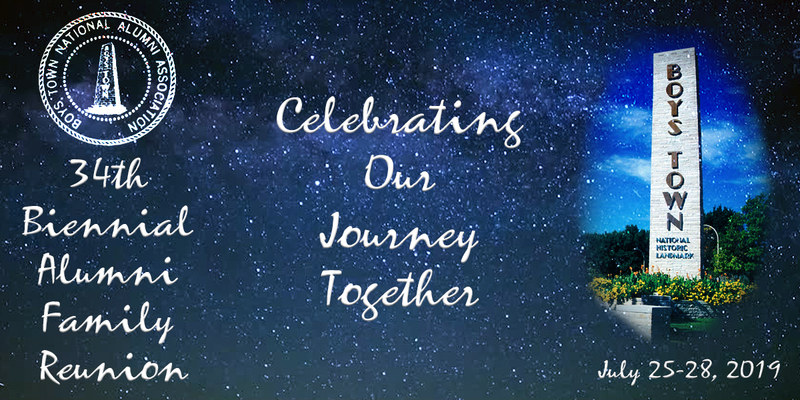 This is your easy to use registration gateway for our 34th Biennial Alumni Family Reunion to be held at Boys Town from July 25-28, 2019. Bring your family and come home to visit, renew old acquaintances and make new friends.